Nowadays, I can't go without coffee. If Doc tells me to give it up, I don't know what I'm going to do. Maybe go back to drinking tea. I used to drink tea, and was a reluctant convert to coffee because of convenience and socializing at various jobs. Never did give up coffee all the way, though. Back in the days when cowboy drovers were moving cattle from Texas to Kansas (just after the Civil War until the mid-1880s, mainly), the chuck wagon cook needed coffee to help keep the crew moving and happy — or closer to it, in that dangerous, dirty work. The Arbuckle brothers came up with a new way of processing and sealing the coffee, and it was an instant hit in the West. Since there weren't no stove handy most of the time, cowboys had their methods to make it, and it's still popular for people who are camping and so on. Good thing cowboys like to eat eggs... Here's a recipe from Camping With Gus, and more recipe information from American Cowboy. Don't forget that pinch of salt. I never did get around to having it that way. Rio Grande Roasters™ started with an attitude. A “roll up your sleeves, get the job done” passion and determination for creating coffee that honors the rugged independence of the American West. Sturdy brews that help you tackle whatever lies ahead, and consistent quality that never lets you down. Our 100% Arabica beans are freshly roasted in small batches with a bold Southwestern flair. From sunrise to sundown, a cup of Rio Grande Roasters™ coffee makes a great partner. I got some small packages to try out, and I don't even have one of those newfangled coffee-making machines. They cost around $80 USD, so it may be a long spell before I get one, too. But they have the machines in the break room at the workplace, so I picked up a couple of small packages of the Rio Grande Roasters. Yep, that's an 80-cup package. Since I spend over 40 hours a week at the workplace, and occasional overtime (some owlhoots lied and said that I get my greenbacks from my creation science ministry), I figued, "Why not?" They cost me 31 cents a serving, and I have ten months before the "use by" date on the package. 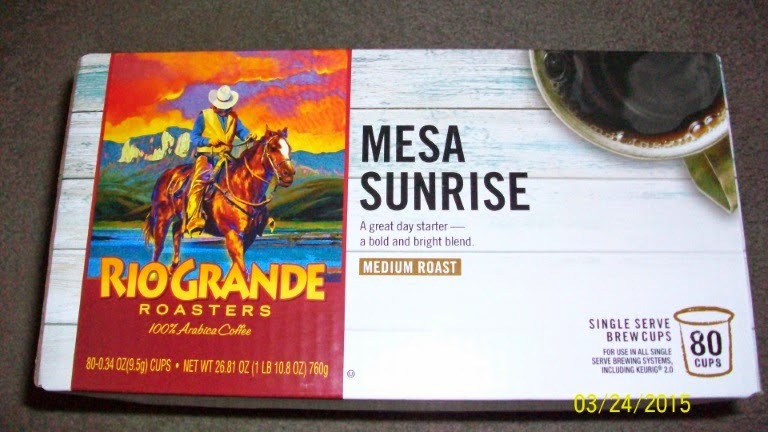 Yes, my gamble paid off, I like the taste of the "Mesa Sunrise" coffe. Betcha the Cartwrights woulda love to see the modern conveniences. The makers of the coffee will probably never know about this article and indirect endorsement, but I had fun writing it and doing something completely different. 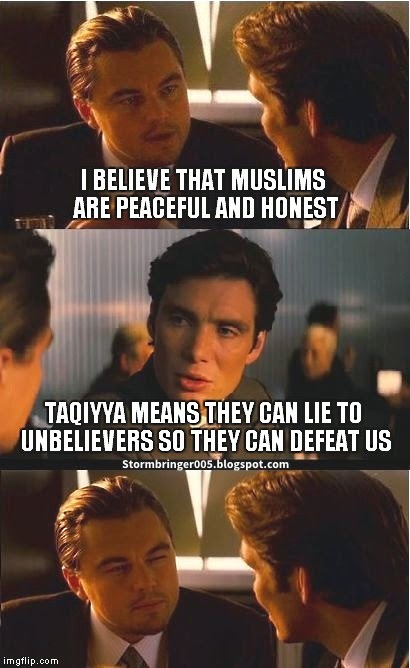 Taqiyya, Mohammedans, and Facebook "Standards"
Not everyone knows this, but Mohammedans are permitted to lie to unbelievers to gain our trust and then defeat us. It's called "Taqiyya". I reckon that this falls under the heading of "the end justifies the means". 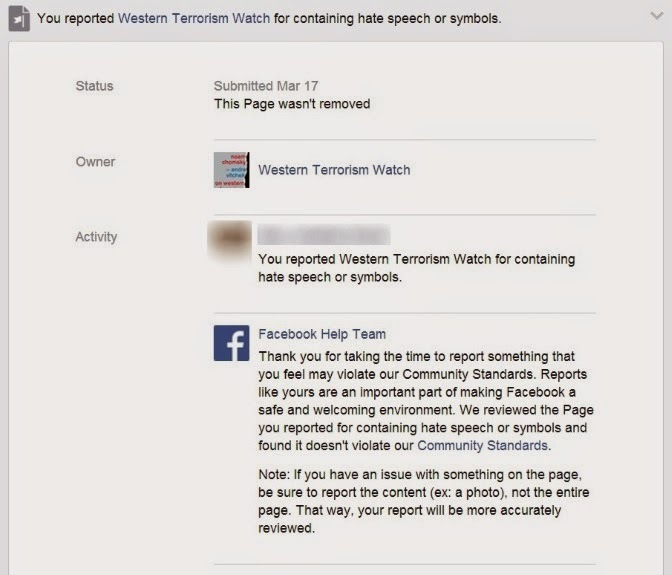 One instance of this on Facebook was done by a Page called "Western Terrorism Watch". 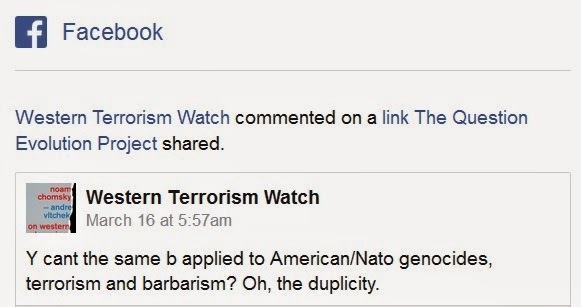 The name implies that they are one of several Pages that report Islamic terrorism. Instead, they are loaded with hatred for the Israel, the United States, Canada and the Western world in general. Posted under "Fair Use" terms for educational purposes. Besides, it was in my e-mail. Ironic to be called hypocritical by hypocrites. Their Page has only nine "Likes" at this writing, but their hate-speech posts and remarks are deplorable, and loaded with straw man arguments, false generalizations, and more. More of "the end justifies the means", ISIS is a murderous terrorist group that is capable of burning people alive, such as this Jordanian pilot. This bunch of pit vipers are not content to kill infidels, but will also kill other Mohammedans, such as these in a Yemen mosque. 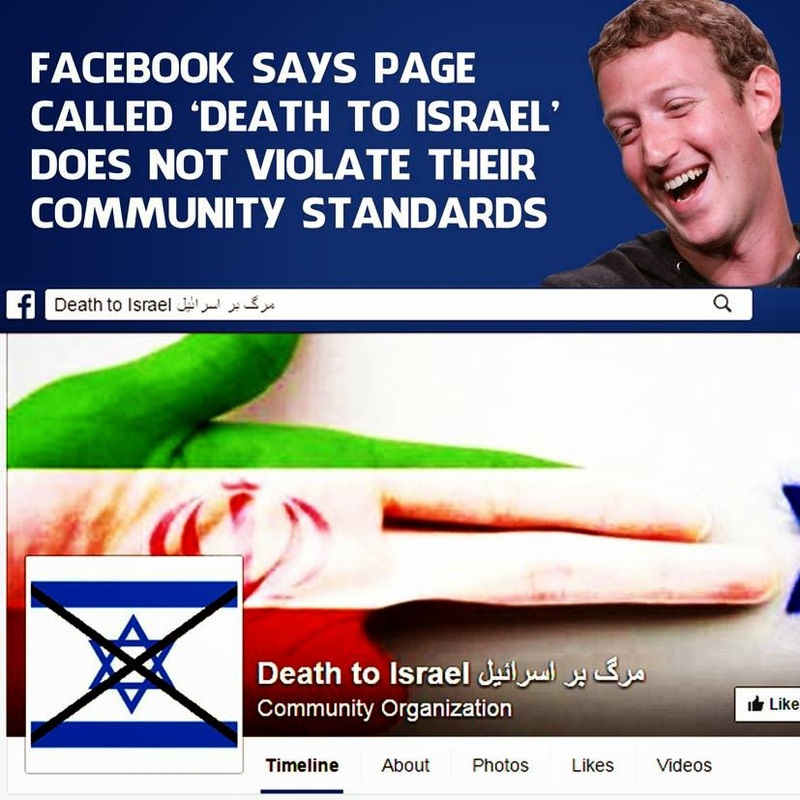 When you have a social media site that is run by leftists and atheist Zuckerberg, don't be surprised when you get waved aside. And Fazebook shouldn't be surprised when something else comes along that has consistent standards and FB becomes as relevant tomorrow as MySpace is today. If I didn't have to be on there to reach people, I wouldn't be there at all.